Direct mail marketing is making a comeback showing response rates that average 2-1 over email marketing. The goal of direct mail is to convert leads while getting a good ROI. Putting your mail into someone's hands is only the first step. Getting them to act is where you reap the rewards. 1. Use compelling graphics and images. One picture really is worth 1,000 words, especially when everyone's time is limited. Add a deadline to act, and make them an offer that's tough to turn down. on your call to action in addition to a phone number. Most people prefer to respond online than call, but don't forget to emphasis time-sensitivity. 4. Keep your mailing list lean and targeted. Mail rates aren't going down any time soon, so don't waste resources and effort on people who just aren't interested. 5. Test and review your message. Choose small subsets of your mailing list for a test run and refine your approach based on response. Only then should you implement a wider campaign. Don't clutter the message, or your mailer, with long descriptions or too many offers. Use one offer per campaign, and use concise, personalized messaging or imagery to drive response. 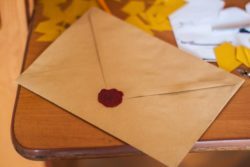 Direct mail is one of the most personalized forms of marketing, but you have to get to know your audience for it to be effective. If you're marketing to millennials, learn what motivates them. The same goes for any demographic. One way to connect with leads is to tie your campaign to a trending story, personality, or event. The more local, the better. You'll learn more about how to move your target audience by their initial response. Tying your mailers to a digital format like a landing page or social media account allows you to track and learn about the habits and needs of potential customers. Use the information you gain to further focus your follow up. One of the things that attract people to direct mail offers is the level of personalization. This is especially true of older recipients who are used to traditional formats. However, did you know that the biggest direct mail response comes from leads under the age of 35? This demographic has grown up with email, and they've become jaded by spam and scams. Keeping it real means using quality mailing materials, real stamps, and hand-written messages with signatures. If you want to increase your reach and convert leads into sales, you need an effective platform. Postlead has created a format that allows you to refine your approach with their robust set of features that improve your odds of making connections. You can put these tips and tricks into action by using Postlead functionality as a platform. We offer everything you need at one low price, and there are no hidden fees, catches, or contracts. If you're ready to sign up or you want to learn more, simply fill in our online form and start today.